These office chairs change their stature to reflect and thus reinforce the power dynamic between their occupants. The chairs monitor their occupant’s conversational contribution (for example tone, level and pace of speech), and body language (reclining or sitting forward say), and compare it in real time to that recorded by their companion chair. They change aspects of their size and shape, to reflect the changing balance of power or confidence levels they detect in the conversation. For example a dominant occupant will be raised higher and their chair will make itself bigger than their submissive counterparts’ chair, which will make itself smaller, more uncomfortable and lower. This ensures the smooth running of an office by reinforcing the prevailing hierarchy, making it clear both to the chairs’ occupants and bystanders who is ‘the boss’. Power struggles between colleagues are resolved efficiently, while office politics take on a whole new dimension to the amusement of all. ‘Executive Override’ controls can be fitted to help managers who lack an innate sense of authority nonetheless impose their personality on employees. The executive can either discretely modify the calculations made by the chairs, or if the situation calls for a dramatic gesture, they can suddenly cause their chair to rise to its full stature while at the same time minimising that of their employee. The chairs are sold as pairs, or in special sets for meetings. 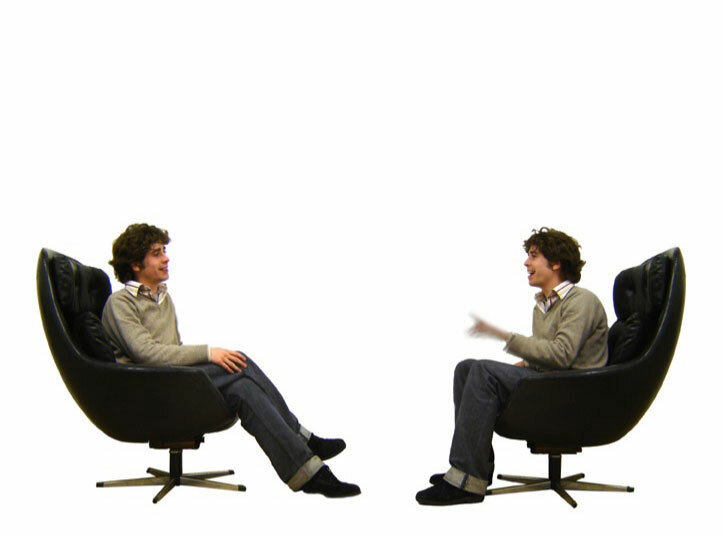 The start of the conversation: Both occupants are level, though the chairs will have detected the slightly more assured pose of the occupant to the right, and the slightly more eager ‘weight forward’ pose of the occupant to the left, and will begin working to reinforce this dynamic. By constantly reflecting the emotional state of their occupants, self-assurance or insecurity is fed-back and thus reinforced. 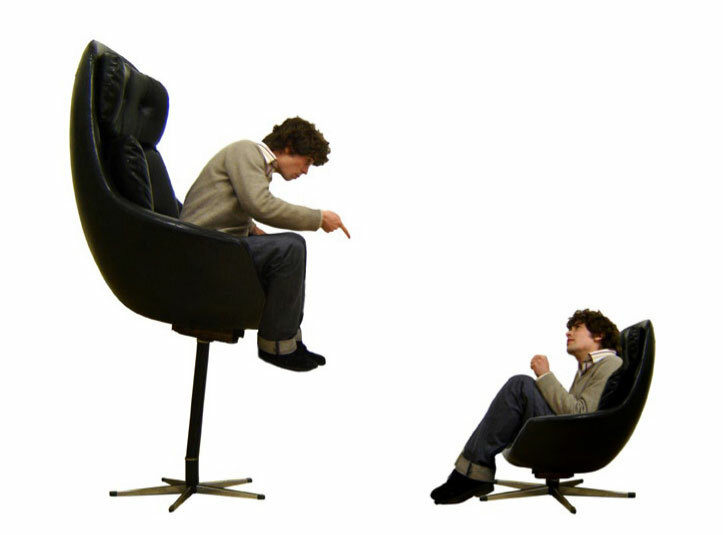 Through in certain circumstances occupants could be in for a bumpy ride, the chairs help ensure that by the end of the conversation, neither is left in any doubt as to who is higher in the office and/or social hierarchy. Your work is fantastic, brilliant, and unlike anything I’ve ever seen. Your Ted video was just as captivating! Hope you come to the states, would love to hear you speak. Thanks! Sorry for the year delay in replying to your comment. I’m an old email man. It reminds me of this scene in The Great Dictator!